I was sad to have to drop my daughter off so early this past Saturday for a birthday party … but she adores the little girl who’s party it was and was so tickled to have been invited. There was an out of town trip involved and an overnight stay .. so it was a big day. “Have a great time!” I told her as I gave her a big hug and kiss and before the door quickly closed in my face, like I was chopped liver in comparison to the evening ahead. Which, I was a kid once and excited to go to a friends birthday party. Heck, even just a friends house. No party involved. So I understand. And I’m good with that… mostly. Despite the fact I hate missing out on any opportunity to spend time with my child .. The afternoon free gave me a chance to connect with some friends I don’t get to see often enough. Not in a one-on-one setting anyway. “Well, let’s get together. We’ll golf, how does that sound?” my dear friend asked. “Love to, I hardly had the chance to get out last year and I’ve missed it!” I replied. A tee time showed up in my email hours later .. Along with a notice of when my tennis lesson would be. 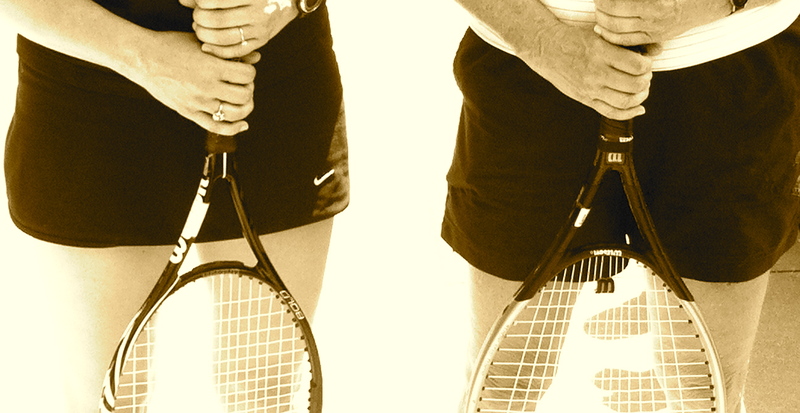 We had been talking about tennis and the fact I’ve always wanted to learn. Not only do the two of them play, she teaches. And I was about to get some one on one tutoring. I have played tennis only one time in my adult life. It was another lesson I took for a piece on how tennis is great exercise and a wonderful way to mix-up your workouts and challenge yourself in new ways. And let’s just say, I was challenged. And I was sore still about a week later. I haven’t picked up a racket since. I also had a tennis racket as a child and while I tried to learn, I also played softball and little league. And that’s how I would inadvertently hit the tennis ball. Over the fence. We were constantly chasing it out on the highway because I couldn’t keep it on the court. My brother then trashed my racket one day over who knows what. That was the end of my efforts to learn. But I love a challenge. And tennis certainly is. I only hit a few over the fence this past weekend.. so that’s improvement, right? It’s now three days later and I’m still sore. Especially my core and arms. Which means they got a good workout. I’ve been needing to mix-up how I’m trying to keep my body in shape as a lifetime of running is taking its toll on my feet and knees. Tennis, like running, is something you can take with you anywhere. And I’m excited to see if it might be something my daughter might like. Win-win right? All good things. As I lace up my running shoes this morning, I’m thinking I need another lesson. And that I don’t need to wait for another birthday party afternoon to get it scheduled.